Ever wonder why the answer to something you just can’t figure out comes to you when your sweating. When your focused on one thing, not multitasking. Here is some more proof why exercise is good for the body and mind. SPARK by John Ratey MD is a groundbreaking exploration of the connection between exercise and the brain’s performance that shows how even moderate exercise will supercharge mental circuits to beat stress symptoms, sharpen thinking, enhance memory, and much more. Checkout John Ratey’s blog and get a preview of his book. I saw this movie a week ago on demand. Being bigger, stronger and faster is part of our American culture. You know “GO BIG OR GO HOME!” This movie shed s light on the Bodybuilding, athletes and the average Joe how steroids affects all of them. It is a documentary that is entertaining and informative. It makes you think twice about how we compare ourselves to the woman and men on magazines. Are those 6 pack abs or airbrushed abs. It is incredible what good lighting and make up will do for you. You can see the movie on youtube here is part one. Great article on Men’s Fitness about a natural supplement that could significantly increase your muscle strength! 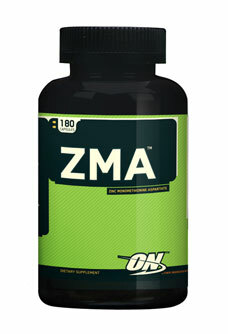 Zinc plays a crucial role in protein synthesis and cell growth. Testosterone levels fall without adequate zinc. Magnesium is essential for bone strength, a strong immune system muscle contractions and a healthy nervous system. Vitamin B6 helps the body convert protein into energy. Separately the minerals do some great work but together they may enhance hormonal profiles, reduce catabolism and boost your immune system. Check out the Men’s Fitness article for more information and suggested intake.